today was a wonderful saturday spent with wonderful ladies at a bridal tea for a close friend. we enjoyed scones, tea sandwiches (egg salad, chicken salad, cream cheese + cranberry, cucumber), and some of the most delicious tea(s) i have ever had. the room we had tea in was inspired by jane austen. we were even served a tea called “mr. darcy”. 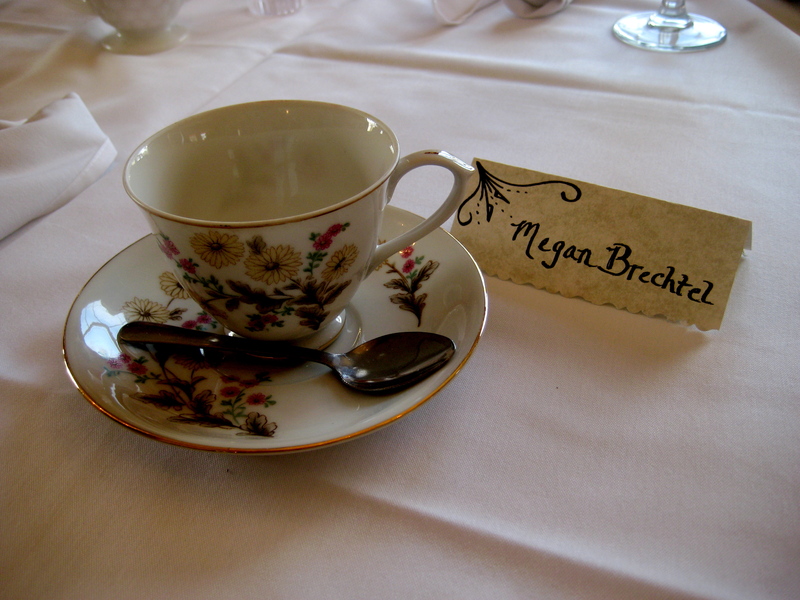 it was such a lovely experience…i want to have a tea party every Saturday morning from now on! the past few weeks have been filled with work, friends, birthday parties, baby showers, and king cake. of course! this year is an extra long mardi gras season…meaning we had all of january and still have the whole month of february and then some for enjoying my favorite cake ever! 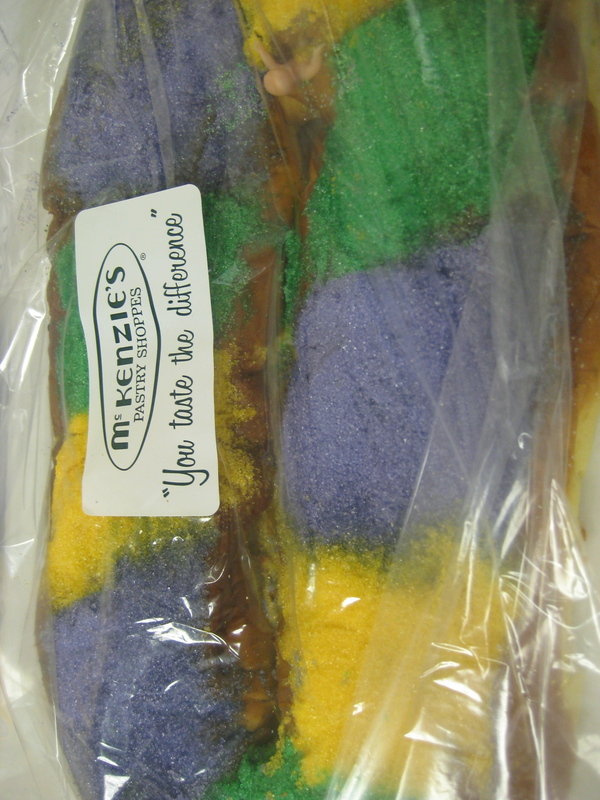 this one is a McKenzies (a beloved nola bakery that closed its doors years ago)…one of my students parents brought it. 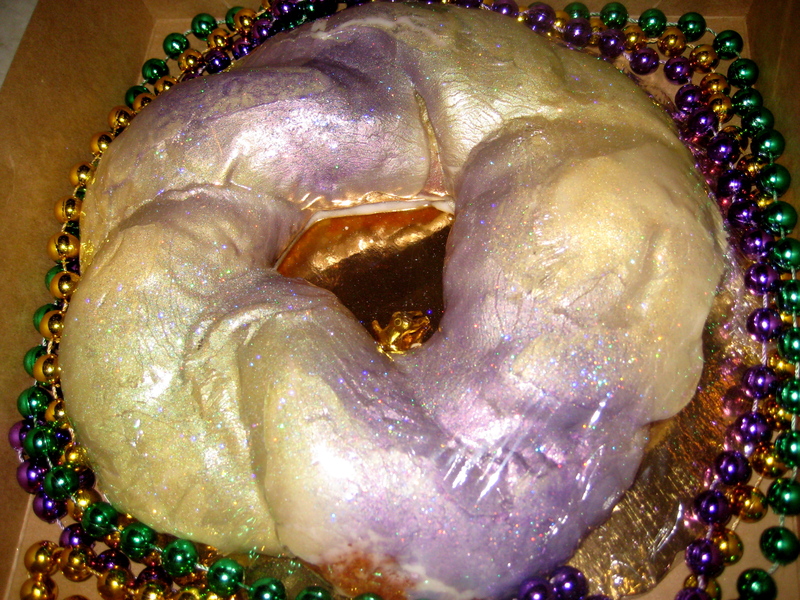 i think my pre-schoolers are going to turn into king cake before mardi gras on march 8! my weekend was lovely and consisted of sushi and sucre (hot chocolate and a mardi gras macaroon) with my mom and lizzy, purchasing my brand new white 2011 jetta (!!! ), church, an italian lunch with my best friend, and sucre (this time it was king cake and a delicious soy almond latte) again. and today i am off… one of the major perks of being a teacher is most definitely the holidays! i am truly enjoying this monday relaxing, occasionally sneaking glimpses of my new car through the window, and could not be any happier!